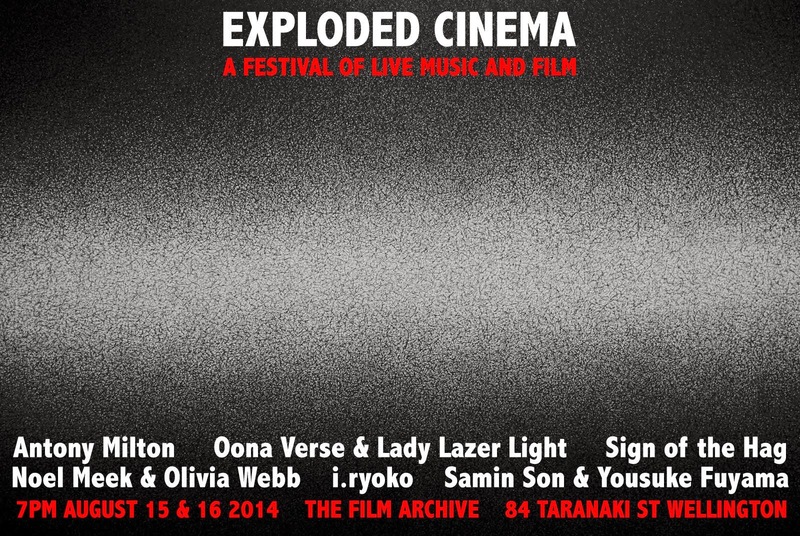 Exploded Cinema is a two night festival at the Film Archive exploring the interactions between live music and the moving image. Ten local and international musicians, performance artists and video artists will present six unique live performances of music and film over the two nights. 15th and 16th of August, 2014. The festival features musicians Antony Milton, Noel Meek, Thomas Lambert (i.ryoko) and Dan Beban (Sign of the Hag); performance artists Oona Verse and Samin Son; and video artists Erica Sklenars (Lady Lazer Light / Sign of the Hag), Olivia Webb and Yousuke Fuyama.